As the article above explains, Microsoft intend to pull the plug on the old MSPaint and leave it in history, much like the versions prior. So what can we do to memorialize 2D MSPaint before 3DPaint takes over? Well, we can spend the time to make games in memory of Microsoft Paint, with graphics made in Microsoft Paint. This jam will go until the end of September, where Fall begins and Microsoft intends to release the update that ends MSPaint. Games need to be submitted in the time limit (par for the course, honestly). Games need to have their graphics made in MSPaint (Though you ARE allowed to use transparency masking with sprites in-engine, as long as those masks are made in MSPaint). This can be ANY version of MSPaint, so long as it's MSPaint. Have a good time, this is a chill jam. No need to rush yourself or get stressed, just chill and enjoy making something with MS Paint graphics. Games can be in any genre, and any format. Heck, even shoot for a visual novel if you want. A game about Meeseeks, or something philosophical. 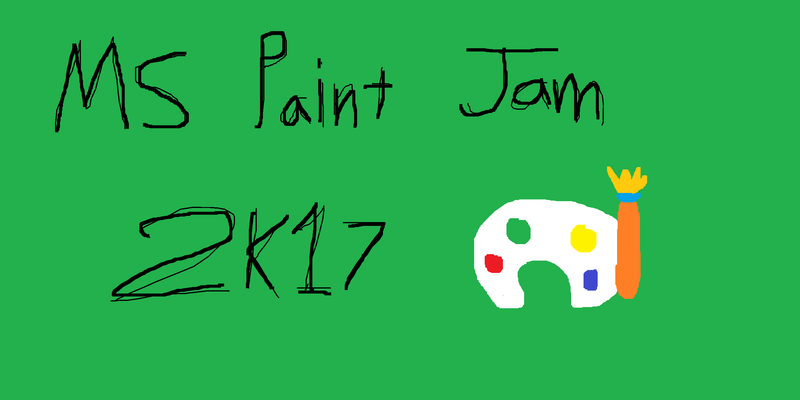 Created for the "MS Pain Jam 2K17" and the "Once upon a time, Rick and Morty" game jam. Two birds with one stone right? ​Amber has fought all the Elite 4. Is they prepared for what comes next? Infinite runner with graphics made in MS Paint!